Improve your style of pre-event advertising with sporty and colorful Swimming Club Flyers. 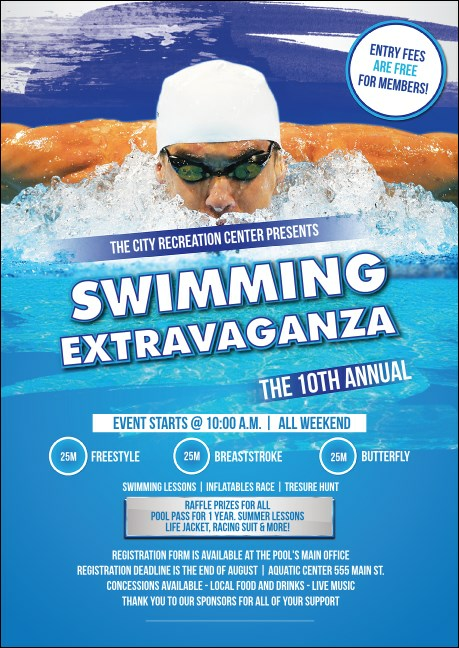 Lap your competitors in ticket sales with Club Flyers that feature a swimmer propelling himself through the beautiful blue water along with room to include over twenty lines of text for event details. TicketPrinting.com will never let you sink!